Welcome at any hunt tea! 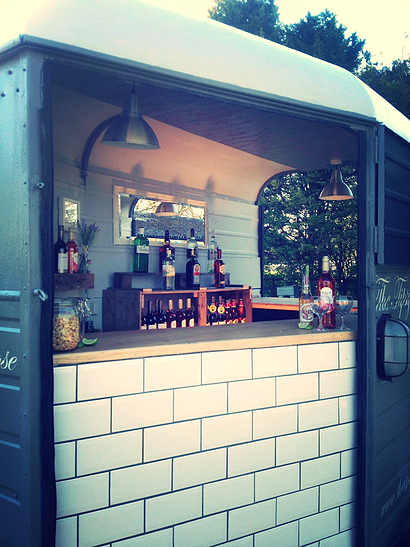 The Tipsy Goose outfits horse trailers as traveling bars. What a brilliant re-purposing of an old horse trailer. 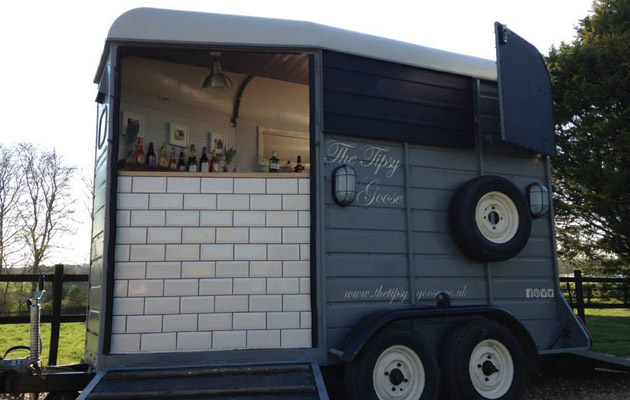 The Tipsy Goose kits out trailers into the perfect mobile equestrian bar! The trailer features a full bar. from the back. The owners travel to point-to-point races, shows and also serves at weddings. Can’t you see it at your next hunt event?